Insung Sim was born in Korea. 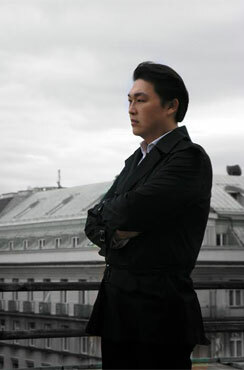 His repertoire includes Sparafucie in Rigoletto, Il Re in Aida, the title role in Attila (Verdi), Raimondo in Lucia di Lamemrmoor (Donizetti), Timur in Turandot (Puccini), Fafner in Siegfried (Wagner), Sarastro in Die Zauberflote, Commendatore in Don Giovanni (Mozart), Rocco in Fidelio (Beethoven), Rodolfo in La sonnambula (Bellini), Pimen in Boris Godunov (Mussorgsky) and others. He performs regularly at the Vienna Staatsoper, the Arena di Verona, the Royal Opera House Covent Garden and the opera houses of Tokyo, Turin, Valencia, Stuttgart, Bergen, Santiago, Monte Carlo and others.